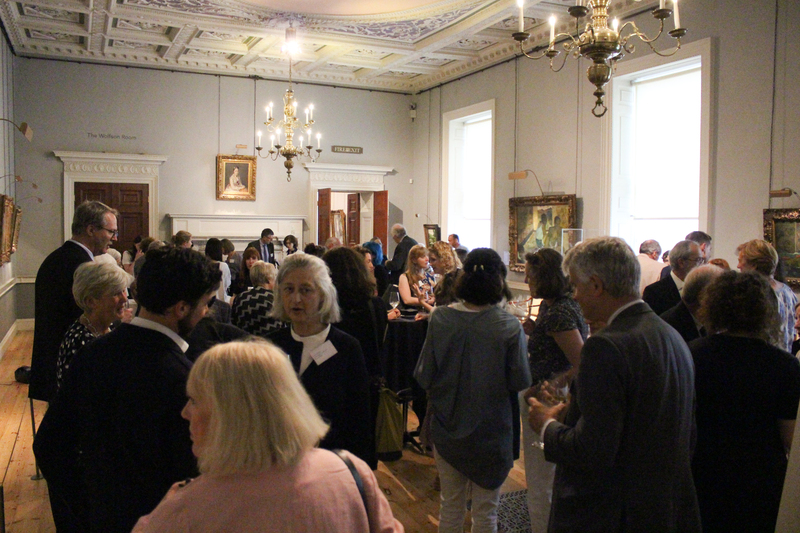 We celebrated our 20th anniversary in style, with a reception at the Courtauld Gallery on June 12th. Our 2018 Plowden Scholars created displays about their work as conservation students in the full range of specialisms including stained glass, paintings, books and paper, textiles, archaeology, ceramics and furniture. It was a fascinating insight into the quality of their own work as well as the exceptional quality of the UK’s conservation training programmes. 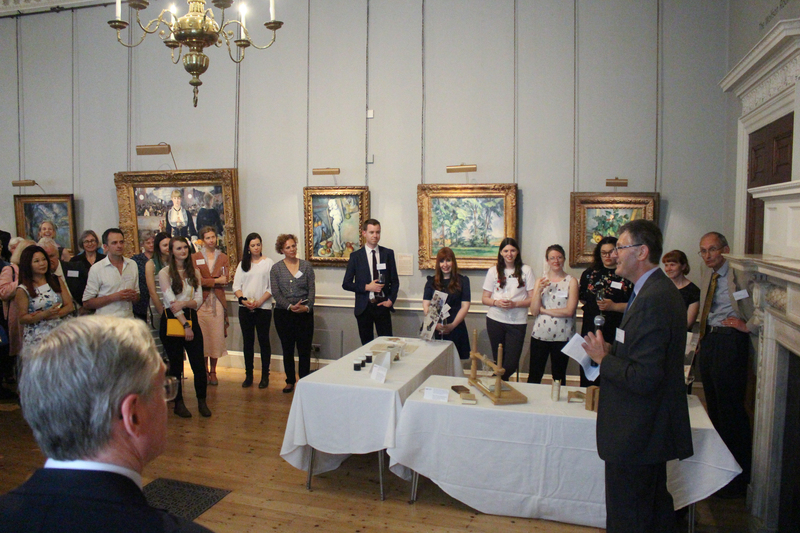 The Trust has also commissioned four short films to showcase its own work and that of the students and conservators that it supports. Thomas Küpper, Head of Glazing at Lincoln Cathedral, was a Plowden Scholar in 2002 and talks of the significance of the Anna Plowden Trust’s support for his training. Puneeta Sharma, Plowden Scholar in 2013, is the subject of a second film, she is now Assistant Drawings Conservator at the Royal Collection. A third film highlights the importance of our Anna Plowden/Clothworkers’ Foundation Continuing Professional Development Grants and the final film provides an overview of the Trust’s contribution to the sector, with reflections from senior conservators including Alison Richmond (Chief Executive, Icon) and Sarah Staniforth CBE (President, International Institute of Conservation). 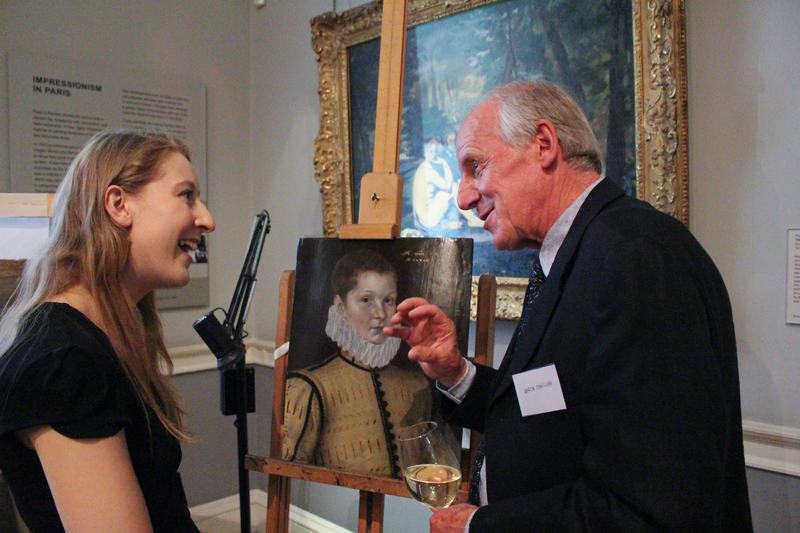 At the reception the Trust’s Chairman, Dr David Saunders, paid tribute to the inspiration of Anna, who was passionate about high quality conservation training at all stages of conservators’ careers. Professor Deborah Swallow, Märit Rausing Director of the Courtauld Institute, talked of the UK’s extraordinary heritage. She said that the range of knowledge and skills required for conservation means that training programmes must be intense with a syllabus that includes conservation science and the development of practical skills. This comes at a price, she said, which is why the Anna Plowden Trust’s student scholarships are so important. The scale of the Anna Plowden Trust’s grant-giving has increased significantly and David Saunders paid tribute to the many trust, foundation, individual and corporate donors whose generosity has made this possible. The Trustees – as well training and practising conservators – look forward to the next 20 years of supporting the highest quality conservation training and development to ensure we continue to have highly skilled conservators to care for our rich heritage.